What Are Toxins and Where Are They? The entire weight loss industry has completely, not necessarily innocently, missed the boat on how real body composition changes can and do occur. The professed “calories-in-to-calories-out” also known as “eat less, exercise more” approach is actually part of the problem. How could anyone exercise so hard, eat so well, and still not get there? Some of the most frustrated people I have ever worked with fit this bill. They really are trying, but nothing is working. Part of the reason may come from the fact that your body has other issues it needs to heal first before your weight loss will be sustainable. One major issue is the accumulation of toxins into your system. They come from drugs (prescription, recreational, over-the-counter, etc. ), food additives and preservatives (too many protein shakes? ), infections, alcohol, tobacco, air pollution, ionizing radiation, and electromagnetic waves (too much time on your cell phone?). Where you live, what you did as a past profession or do as a current profession, what your dad did in his past or present career, even the type of dental work you have had done, could cause toxins to build up. Let me give you a very real example. I have a client, a figure competitor, with a ton of medical issues that were really hard to pin down, as she has so many symptoms. 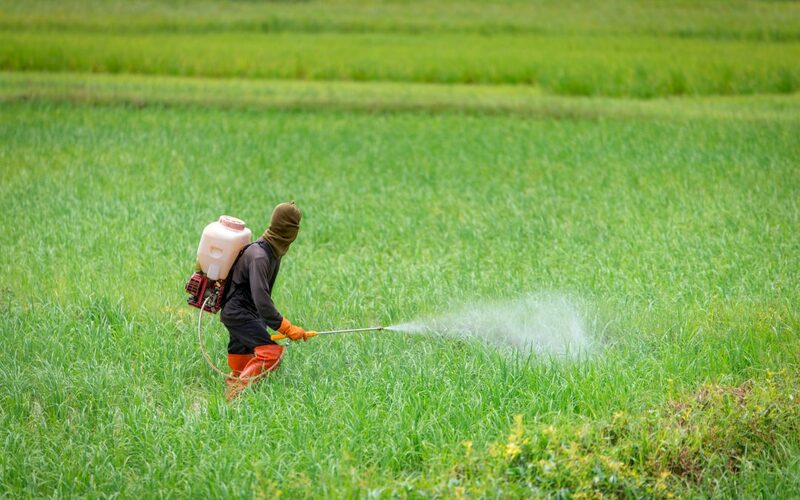 Glyphosate is one of the most toxic substances known to man—why it is approved for use anywhere near humans or other living animals is beyond me. Her father had been coming home from work every day with the poison all over him. Hugging and kissing his little girl every day after work exposed her to high amounts of this toxin and, over time, her little body could not handle it. And now, twenty years later, she was still having issues with it. A 1987 study by the Environmental Protection Agency (EPA) stated that the average American has at least seven hundred (700) toxins in their body. In 2016, more than 85,000 chemicals were identified in our everyday products in the US and, other than medications and some pesticides, not very many had been tested for human safety. Now, in 2019, I wonder just how many toxins do we all carry? Toxins build up in your system due either to exposure or to your body’s inability to clear them. Your body’s inability to clear them can be due to lung issues, such as asthma, nasal issues like chronic sinusitis, issues with bowel movements (constipation), or your mental/emotional coping skills with stressors, such as a bad relationship, your dislike of your God-given body, or a common diet and exercise program. Most, if not all, diet and exercise programs encourage drinking water. That is great, but how do most of us (me included, especially when I am in a hurry) drink our water? Xenoestrogens like bisphenol A (BPA), bisphenol B (BPB), phthalates, etc. all build up over time with the use of plastics. These are toxins. If you are thinking ahead and preparing your food, chances are you are using plastic containers for your food and water. This problem is amplified if you like salty or acidic foods, as these foods really leach the toxins out. Arsenic is another toxin that may be present in people doing their best to get healthy. If your diet program called for regular consumption of white rice, even small amounts such as ½ cup a day, you could have issues with this arsenic. This toxin has been linked to insulin resistance and could be part of the reason you regained your weight so quickly after you ended your diet and exercise program, or even why you could not get the body you were after while doing the program. You could have issues with mercury, another toxin, if you ate (or eat) a lot of canned fish, such as albacore tuna. If you have a leaky gut, more toxins are likely to make their way into your system and affect you, especially in your compromised state following a high-intensity program. Where are Toxins Stored in Your Body? Where do you think your body stores toxins when you are exposed to them? It’s not in your heart or brain, as the toxins would kill you if they landed there. The majority of toxins you are exposed to are stored in your fat. Toxins are everywhere, and unless you have a stellar clearance system (which some people do via their livers, kidneys, sweat in the gym, etc. ), your body protects you by adapting to the environmental exposures/toxins and storing fat to keep those chemicals away from vital organs. Fat also accumulates in a protective manner due to hormonal changes, lack of sleep, and stress including mental, physical, and emotional pressures. Fat is your body’s adaptation to your environment! It is not just the result of laziness and bad eating. Fat is adaptive due to the fact that fat itself is a vital organ. Our bodies will do anything to protect it. It is a producer of some of the most important hormones in the body, mother hormones, as they have the ability to control or override many other hormones. A run-of-the-mill diet and exercise program is not designed to help you get rid of the toxins stored in your fat. Hopefully, that raised some eyebrows out there because once you grasp this concept, you will see the fallacy of a currently suggested diet and exercise program. My new book Obtainable outlines what toxins are, how they are affecting your body, and how to get them out! Come back next week for more on how to detoxify and clear out these troublesome toxins. With powerful suggestions from new book Obtainable, I’ll be discussing solutions to help you get started this year with a solid plan for success in your detox journey!